Education, education, education. We are obsessed with it. A college degree is no longer enough, what once was guaranteed to get you an interview, is now just a prerequisite to enter into the fray. In 1941, a young man joined the US Air Corps, lacking a college degree and armed with a basic high school diploma, the young man began service as an aircraft engineer. He grew up in a small town in West Virginia, a place Katniss Everdeen would recognise. His first experiences in an aircraft didn’t go well either, being helped off his first few flights with acute airsickness. At the time, the Air Corps was only recruiting pilots who were educated to a degree level. But then everything changed. Without listening to the advice of others, the young man applied for a new program. A flying sergeant, where the only prerequisite was a high school diploma. 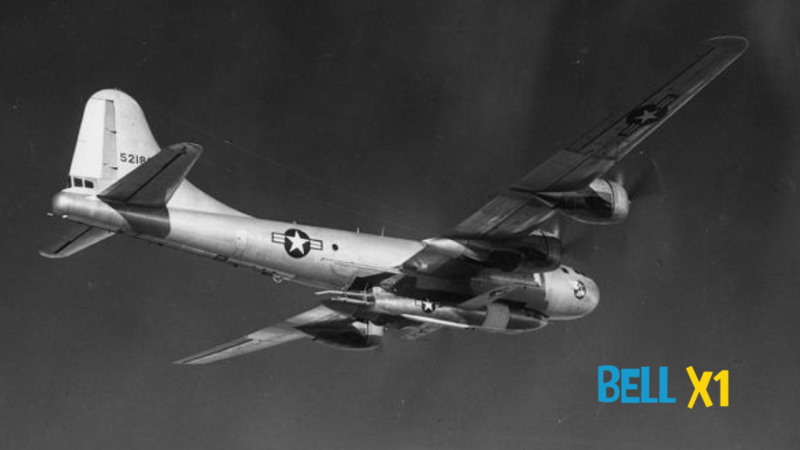 In October 1947, high above the Mojave desert, a B-29 Superfortress released its payload, and a bullet-shaped aircraft dropped from the B-29’s bomb bay. Inside, the pilot, with no means of opening the entrance hatch if things went wrong, was strapped inside. At 42,000 feet, the pilot launched the experimental aircraft’s rocket-powered engines. Observers, down on the deck, heard a boom, and they assumed the mission had failed. They thought the aircraft had disintegrated. They were wrong. The aircraft was the Bell X-1. The pilot, the same young man, who just six years earlier scraped into the flight training program with the minimum requirements, was by 1947, a decorated war hero, winner of the Purple Heart and the Bronze Star, a WWII fighter ace — acknowledged by his peers to be the best “stick and rudder” man in the business, had just broken the sound barrier. His name: Chuck Yeager. Yeager found out he was a natural pilot, blessed with 20/10 vision, he had eyes that could almost see to infinity. Yeager was a West Virginian country boy with little education, and if Yeager had listened to his peers, he would have never got started, but Yeager had a plan and a program to help him realise his ambitions. Today’s speculators have the opposite problem, a great many people who attempt to speculate in the financial markets, including the cryptocurrency markets, are, unlike Chuck Yeager, educated to a high level. Some have enjoyed success in a previous career, allowing them some capital to speculate with, and they approach speculative markets with the same work ethic that gave them earlier success. Others, have no capital and are attracted to the potential life-changing rewards that seem to be on offer. They read about others who turned a small amount into millions, and they attempt to do the same. The skills that made one group successful outside of speculation aren’t much use inside it. Typically, people who come to financial markets from other successful careers trade with positions far too big for their level of experience. They attempt to pour a pint into a half pint pot. It seldom ends well. On the other side, are the group who have never experienced any real success outside of speculation and are drawn into it because of the potential rewards. This group makes up the vast majority of the online newsletter subscribers. This is the group who invest in penny shares, this is the group who buy cryptocurrencies for a few cents, reading about the people who turned $1,000 into millions. Yes, it might happen, but the odds are it won’t. Both groups are looking for one thing. But most are looking in the wrong place. Chuck Yeager was the exception. A natural. But even with his natural abilities, he had a structured program to help him discover his talents. Go to Amazon.com and search using the term “technical analysis.” There are over 3,000 books on the subject. Search for futures trading or options trading, and there are tens of thousands of choices. In cryptocurrency speculation and investing, the entry technique you use is limited only by your wit and imagination. If you take the time to browse through sites like StockTwits or TradingView you’ll see many people have an extremely good imagination indeed. They draw lines everywhere, adding multiple indicators to a chart to reinforce their belief in their analysis or to confirm the opinion of a guru that has become their own. How do you make a choice? Which technique of the thousands of published ideas do you use? Unlike Chuck Yeager, who had the advantage of being put through a specific training regime, you have to either use someone else’s ideas, adapt them, or attempt to design your own system. The majority opt for the easiest option. They subscribe to a newsletter and pay to be spoon fed the signals. The problem is, once a newsletter has got you in, what do you do if the tip does not work? For the writer, the newsletter business is hard work, they have to write something. A more profitable endeavour for them is to sell you an indicator, and if you take the time to look, you will find indicators for sale ranging in price from a few dollars to thousands of dollars. The problem? They all work, and nothing works. Think about it. If you could purchase a system that worked 80% of the time, and gave you 20% return on your capital, that system would not be for sale. Why? Because you’d double your money every 3.6 years. Looking at StockTwits or TradingView, you’ll see most screenshots use many different types of indicators. Bollinger bands, multiple moving averages, RSI, and MACD’s are most commonly used, and they are often supplemented by Fibonacci lines, both extensions and retracements, Elliott wave counts, Gann fans, angles, even ichimoku clouds. And you shouldn’t get midway through your second cup of coffee before you find someone espousing moon phases and other esoterica as the real secret to unlocking success. Next on the list are Elliott waves. One newsletter has been predicting a life-changing and massive stock market crash for decades. One day, unfortunately, they’ll be right, but how does this help you today? Elliott wave interpretation is very subjective, and if you look, you’ll see many different wave counts can be applied to the same market movement. A popular saying, even among Elliott users, is if you put twenty Elliott wave analysts in a room, looking at the same market, you’ll end up with twenty different opinions. Next on the list is Gann. William Gann is held in awe by a lot of pure technical analysts. If you take the time to do some reading, you’ll find plenty of people who claim to know the secret. 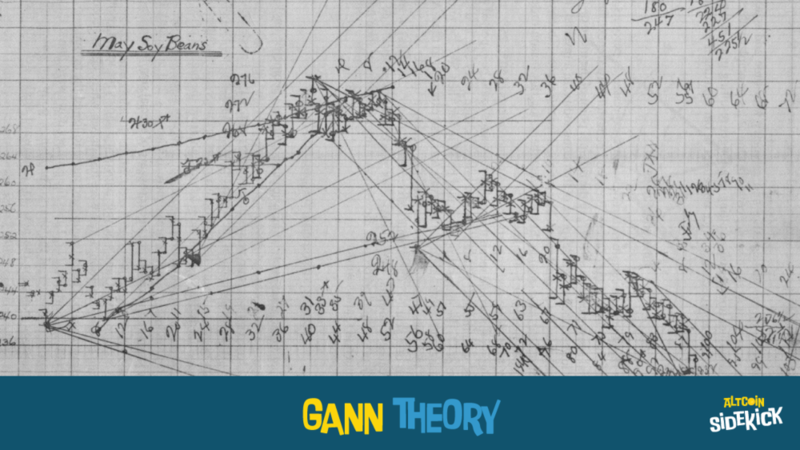 Gann wrote in a, to put it mildly, opaque style. For followers of Gann, it’s all about price and time. Specifically, the squaring of price and time. For example, if a market has gone up $100 in 100 days, Gann exponents would say that price and time are “square” and that a reversal is highly likely. If you like the idea of this, then it won’t take much searching to find plenty of courses for sale, offering you the secrets of Gann — ranging from a couple of hundred dollars to thousands to make Gann’s secrets yours. And, of course, you’re not the only one who has access the secret. So, what you’ve just purchased is no longer so. It never was. And if you look hard enough, you’ll find people who can show you that Gann used the planets to time this trades. In your search for the perfect indicator, you can literally be taken to the moon and back. Ka-Ching. Trading indicators are everywhere, but they are just lines on a chart. The majority of market speculators and investors, especially newer traders in the cryptocurrency markets, typically, don’t have much of an idea about the root cause of price movement. Most run out of funds before they realise what they don’t understand. The harsh reality of the cryptocurrency markets, or any financial market that’s actively traded, is the lesson comes after the test. The market does not care about you. The market will remove you from your capital at break-neck speed with complete impunity if you don’t know what you’re doing. Slapping indicators on a chart is not the answer. Some people reading this might be upset at the mention of WD Gann being a snake-oil salesman, same with Ralph Nelson Elliott. Here is one undeniable fact. The people who make the most money with Gann or Elliott aren’t traders, they are newsletters sellers. Newsletters, in a less politically correct time, used to be called something else. If you spend some time looking, you’ll find lots of courses that will help you to reach your goal of becoming a successful trader. Do they work? It depends. If the course is in line with the risk tolerance of the student, and the course covers robust position sizing and money management, then maybe. If it doesn’t, and it’s a service based on providing tips on what to buy, then almost certainly, the student will fail. There are exceptions, of course, but most fail. Instead of dropping thousands on a trading course, you can obtain a nearly free — (think iTunes or Amazon), introduction to how all traded markets work by watching the 1983 classic Trading Places. Hidden in this movie is a free lesson on how markets work. And it’s nothing to do with a moving average crossover. As they walk, Billy Ray listens as Louis explains the situation. Never show any sign of weakness. Always go for the throat. Buy low, sell high. Fear, that's the other guy's problem. For all the complexity, for all the seemingly infinite methods you can apply, it may help to ask yourself how the old-school speculators interacted with the market — before computers? In Trading Places, the Duke brothers have cheated. They have acquired the orange juice crop report ahead of the official announcement. Except the report they think is real is a fake. Damaged crops mean limited supply, and limited supply means higher prices. At the start of trading, 9am New York time, an hour before the report, the Dukes, thinking the orange juice crops have been damaged, send in their floor trader to start buying. The buzzer goes, and the trading begins. Prices start to rise, and as the price hits 117, the other traders notice the price ticking up, and they see it’s the Duke’s trader doing the buying. So they start buying too. Louis and Billy Ray are standing in the trading pit watching the action. 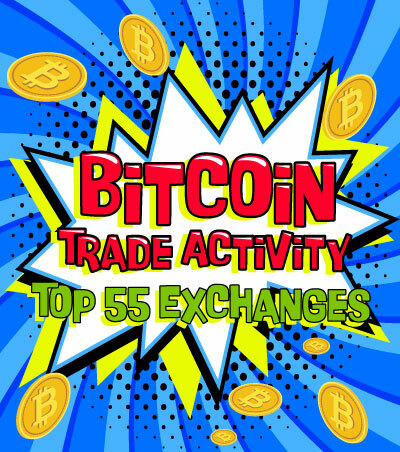 As the prices continue to go up, more and more traders join in. Louis looks at the quote board; then, at Billy Ray. The shouts and screams from the traders wanting to buy are deafening as the price ticks to 140 then 142. The Pit goes nuts. It’s chaos. Louis is selling all he can — as fast as he can. Prices begin to tick down. The Duke brothers are looking on from their viewing gallery. Mortimer says to his brother, “That’s not right, how can the price be going down? — unless…” In a panic, the Duke brothers run down to the exchange trading pit. They know they have a massive long position, a position they built because they thought the orange juice crop had failed. Prices continue lower, ticking down. Price hits 102. The pit goes dead quiet, and all trading stops as the traders listen to the results. The traders who had been buying are now trapped. They have to get out, and the Duke brothers, who are exposed to massive losses, are desperate to sell. Louis and Billy Ray are just standing there smiling. They do nothing as the traders around them scream their sell orders in a desperate attempt to get out. The camera pans to the quote board. 85, 77, the noise from the pit gets louder and louder as the prices continue to drop. As the noise in the pit abates, Louis looks at Billy Ray, and then up to the quote board. Pandemonium. The other traders who are long at much higher prices have to sell or be ruined. Louis and Billy Ray, take the other side of the seller’s positions and take the buy orders. But prices keep going down. The buzzer sounds for the end of trading, and the Duke brothers look up at the quote board. The price is 29. Louis and Billy Ray have made a fortune. The Duke brothers are ruined. At the beginning of trading, the orange juice market was quiet ahead of the crop report. The Duke brothers sent in their floor trader to start buying. With little available supply, because the other traders are waiting for the report before they take action, the prices go up. Demand outpaces supply, and prices rise. Why? There are many orders on the buy (bid) side of the order book compared to the sell (offer) side. As prices rise, more and more traders take notice, and because they trade in a pit, they can see who is doing the buying. It’s the Duke’s floor trader. Thinking the Dukes know something they don’t the other traders start to buy. Slowly at first, rising to a crescendo and cacophony of noise, the other traders pile into the pit and buy. While all this is going on, Louis and Billy Ray and are just standing there. They appear to be doing nothing, but Louis, an expert trader, is watching the board and listening. But what’s he doing? As prices rise, more and more traders want in, and as the intensity of buy orders being placed rises, so does the noise. Louis is listening to the noise, and, at the same time, he’s watching the quote board. At 142 per contract, Louis senses the noise peak out. Louis, an expert trader, understands that the noise level peaking out represents the frequency of buying. At peak noise, Louis knows that anyone who is going to buy has bought. So he starts to sell. Prices stabilise and begin to drop. This is direct market feedback, and it’s telling Louis that there are no orders left on the buy side of the market. It’s confirmation of the buying climax. Louis starts selling aggressively. Prices drop because of “air pockets” in the order book. There are no orders at specific prices and prices fall to where trade takes place. The Dukes know that the price action is not right and they rush to the pit to try and get out of their long positions by selling. Then comes the crop report. The harvest is good, which means there will be plenty of supply of orange juice, and an abundant supply of a commodity equals lower prices. Louis and Bill Ray have already placed their selling orders. (short positions) This is why, after the report comes out and the pit explodes into action, they just stand there. All the other traders are now caught in long positions, and they have to get out. So they shout out their sell orders. Louis watches the quote board and listens. Exactly like he was doing as the prices were rising. Louis is listening, monitoring the noise. He’s looking at the board and as noise rises he knows that as the decibel level peaks out, it is telegraphing the emotions of the sellers. When it reaches a peak and levels out, Louis knows it’s time to start buying the short orders back. Why? Because he knows that at peak noise everyone who needs to sell has sold. Louis did nothing as prices rose. When they reached a peak, as signalled by the level of noise he opens his position by selling short. As prices stabilised and went down a little, Louis knew there was an imbalance of orders in the order book. He knew it because his sell orders were halting the price rise, and because of this, he knew there was no more demand. Prices dropped initially because of air pockets in the order book. But after the crop report, when all the buyers suddenly became sellers, this massive imbalance is what drove prices lower, back down to 102 from 142; then, under 100, 85, 78, 46, and ending the day at 29, the closing price. When Louis sensed the noise level had peaked due to the selling he knew it was time to cover his short positions by buying them back. You might be thinking that all this is useless, another story. Wax on, wax off. In fact, not so long ago, savvy traders, who were not members of the exchanges subscribed to squawk boxes. Squawk boxes were, before the Internet, black boxes, that tuned into the noise of the pit, like a radio, except, instead of an annoying DJ, the traders listened to the pit, via microphones placed on the trading floor. Later, you could subscribe to a website version. You may have watched CNBC’s flagship financial show. The name? Squawk Box. Now you know why. Here’s what the NYMEX used to look like. In December 2016, the NYMEX trading pits were closed, moving inexorably towards 100% electronic trading. Here’s what trading pits looked like just before they closed. As more and more trading moved off of the trading floor and “upstairs” into the offices at the exchange, the value of the squawk box died. Floor traders, like the ones seen in Trading Places, have moved upstairs, trading from computers. Prices don’t move because of a moving average on a screen. They move because of an imbalance of supply and demand. So, why tell the story of Trading Places, and what is the point of mentioning squawk boxes? In Trading Places, as the level of noise in the pit rises, the traders get a sense of a climax in the buying or selling. As trading moved off the floor and into offices, the floor traders used volume and price action as a gauge, replacing the noise of the pit with normalised volume, and the buying and selling tails of price bars. You’ve seen them before. We’ve been talking about them all along. In today’s financial markets, the squawk boxes may have been retired into history, but the signature of buying and selling climaxes live on in the markets today. They are called “Emotion” bars, a wide ranging bar, with a selling or buying tail, accompanied by usual amounts of volume, preferably 300% above normal. In Trading Places, when Louis yells, “SELL 200 April @ 142”, he’s getting short after a move up in price, because he knows the likelihood, because of the noise in the pit, that everyone who is going to buy has done so. It’s the same when he starts buying when prices hit 46. When prices are trading at 46, Louis knows the likelihood, because of the noise, it’s time to exit the short position by buying it back. As the cryptocurrency market downtrend continues, you’ll find plenty of articles full of opinions, reading headlines with words like may, might, should, and could. 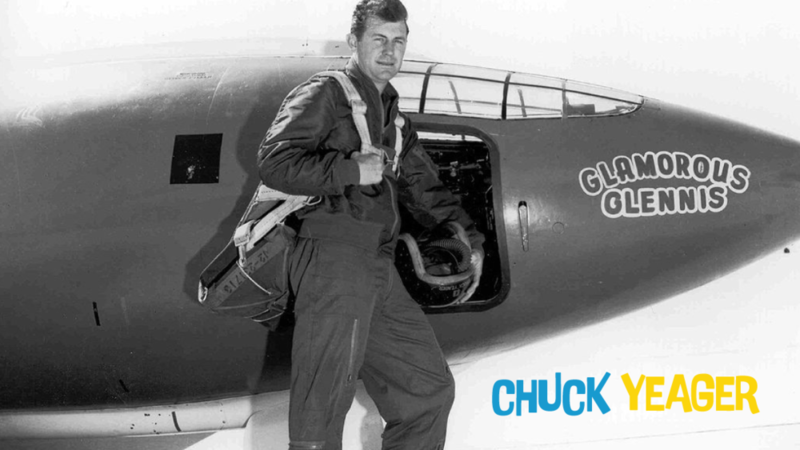 Unlike Chuck Yeager, who discovered his natural talents inside a structured program, for entry into the financial markets, no such programs exist, outside of being hired as an intern with a hedge fund or an investment bank, but the queue for entry runs around the block, and the competition is extremely high. One day, the cryptocurrency downtrend will end. 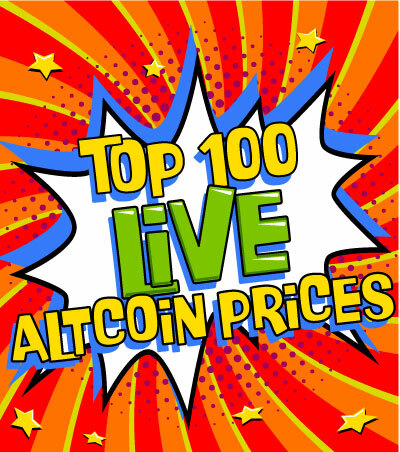 Leaders will emerge from the downtrend, but until then, if you are looking to engage with the cryptocurrency markets, knowing how prices move is a valuable skill. If you watch Trading Places and study supply and demand on a chart, using volume and price bars in place of the decibels from the pit floor, you’ll be well on your way to understanding how markets work. Sometimes the most valuable lessons are hidden in plain sight and available for free.